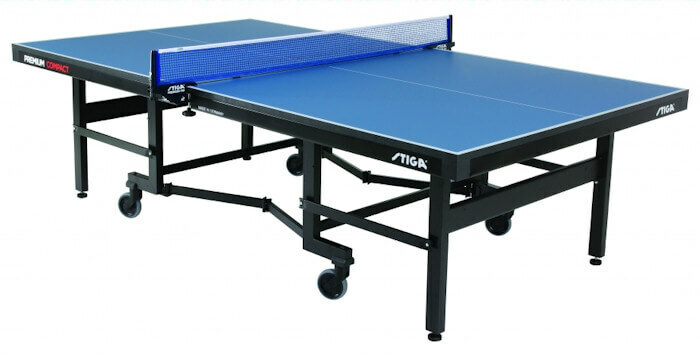 The Stiga (pronounced Steega) Premium Compact T8513 is a tournament level table from an established brand. From the Stiga Tournament range of tables, this is the eighth level in that series. 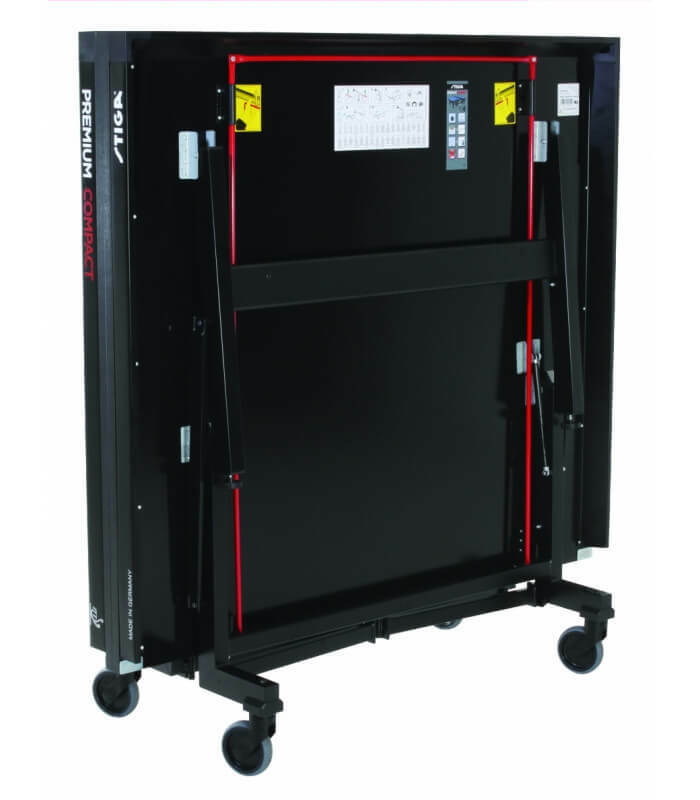 It uses a super compact undercarriage system which means that it that folds up to minimal storage dimensions. It also has commercial grade pistons which assist with the opening and closing of the table so that it can be done by only one person, in one motion. 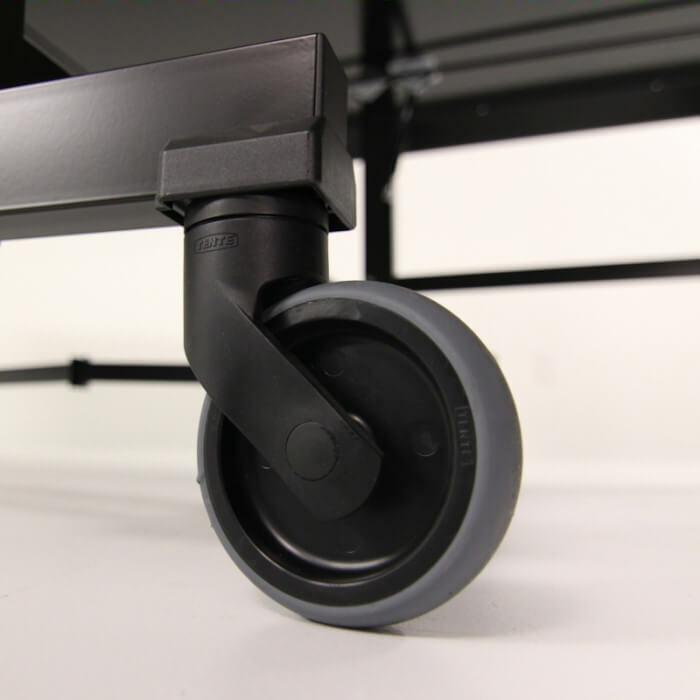 The 4 wheels used on the inner legs of this table are 5 inch ball bearing casters and are designed to assist you to easily move the table to its desired location. 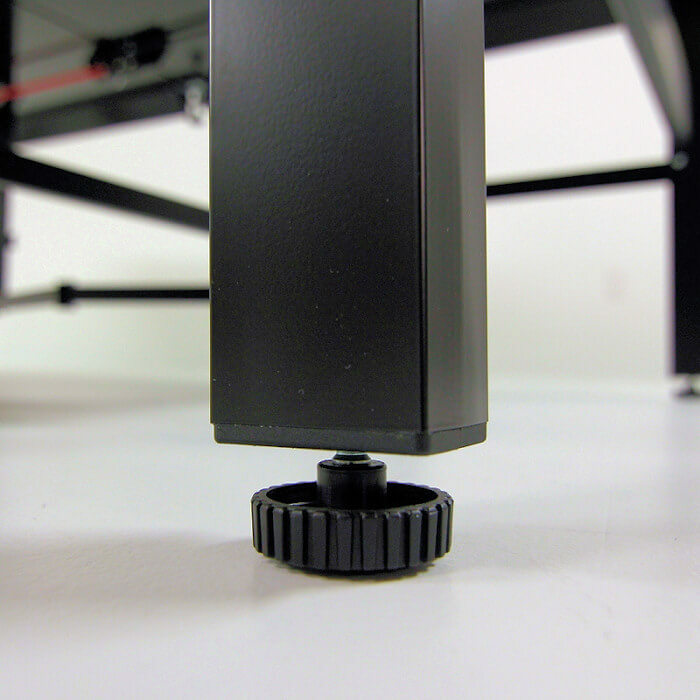 The 4 outer legs on this table are 2¼ x 1¾ inch steel legs with a self opening function, which means that as you erect the table, the legs automatically open to the required position. 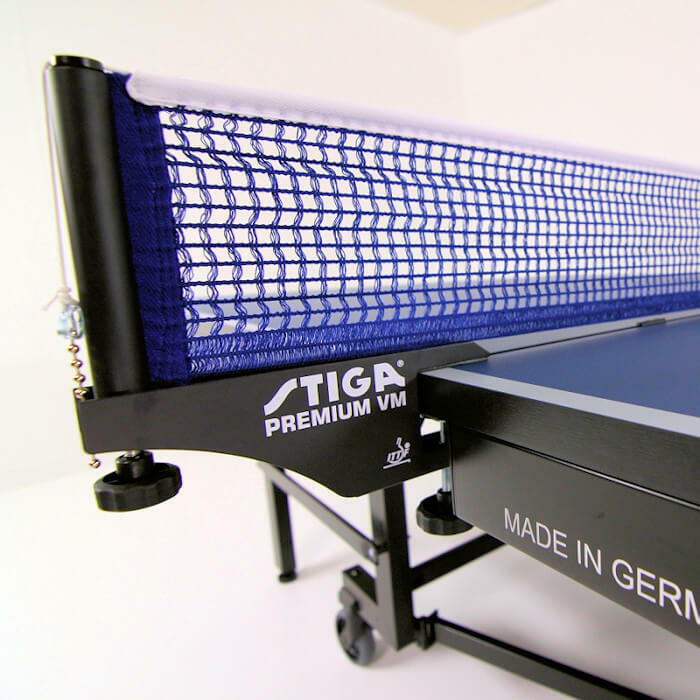 The net & posts set supplied with this table is the Stiga Premium VM which has a screw mounting system with net tension adjustment and it is an ITTF approved net. 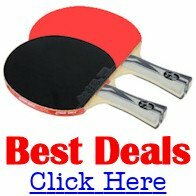 Who is this Stiga Premium Compact T8513 Table Tennis Table for? It's part of the Stiga Tournament range of tables so is better quality than the tables in their Recreation or Competition series. It's also an ITTF authorised table, and therefore meets stringent tests for quality.